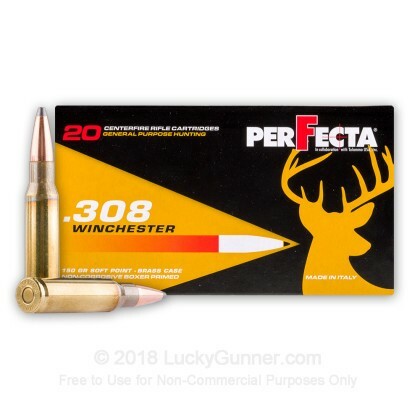 These economically priced hunting loads from Fiocchi's PerFecta line are an ideal way to feed your favorite .308 Winchester rifle for deer season and nuisance hog removal. 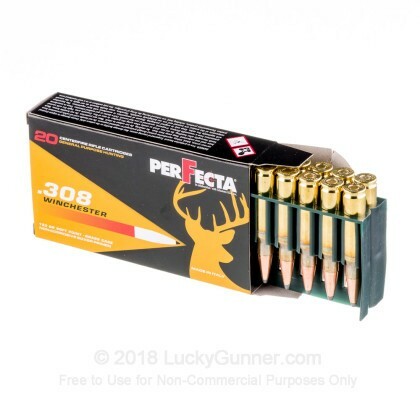 Each cartridge is loaded with a soft point projectile that weighs in at 150 grains; while this is light for the caliber, it provides relatively light recoil alongside a flat trajectory for easy zeroing and medium range game tracking. 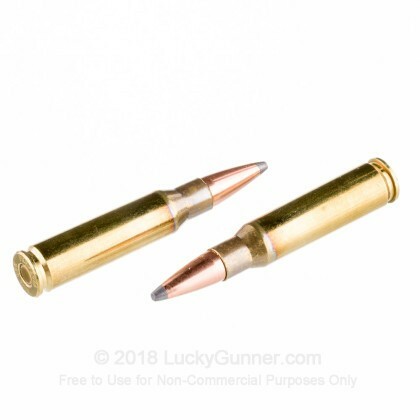 The bullet is built with an exposed lead tip which flattens out during entry into a game animal in order to create a large wound cavity while transferring energy to the vital organs. This results in clean, humane drops that hunters can trust to fill the freezer. 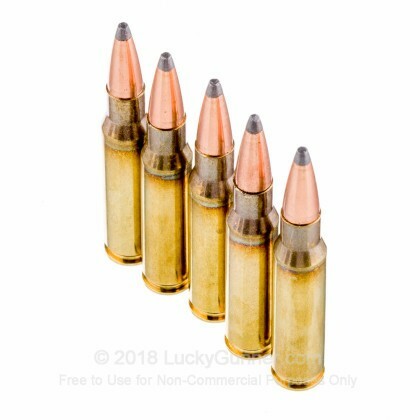 The projectile is securely crimped into a reloadable brass casing fitted with a clean-igniting Boxer primer which is free of mercury and caustic chemicals. 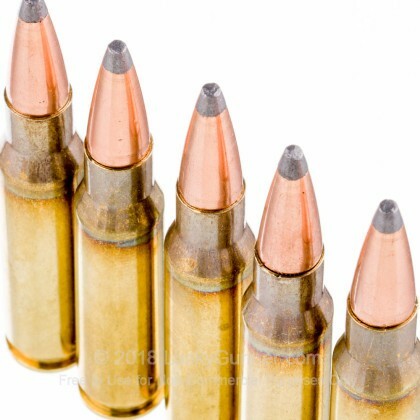 This helps to cut down on firearm fouling in order to preserve accuracy and proper operation. Fiocchi is an Italian company that has been around for about 140 years. Their experience and craftsmanship have netted them a reputation in the United States as an affordable, high-performance import brand. 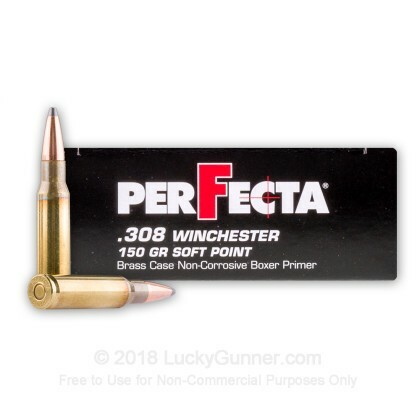 Very poor cartridge - jammed after 2 rounds cycled through a usually reliable AR-type semiauto. After us jamming the cartridge, continued to jam on every round. Changed to another cartridge - cycled 50 without fault. Not worth the low cost.